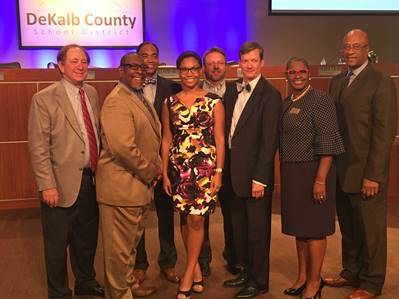 Redan High senior represents DeKalb students at October’s Board of Education meeting. Shania Hinds, a senior at Redan High School, represented the students of the DeKalb County School District at the Oct. 2, meeting of the DeKalb County Board of Education. Hinds has a cumulative GPA of 3.7. She later plans to attend college and become a registered nurse. She currently serves as the Vice President of the Student Government Association. Hinds anticipates assuming leadership roles in other clubs and is awaiting the outcomes of those elections. She is also involved in the National Honor Society, Beta Club, and Ladies of Redan.